These weekly posts, starting today, are meant to give you a different way of accessing reviews. Especially for everyone who is busy during the week and can’t always spend lots of time surfing the Internet. And let’s face it: who isn’t busy? Let us know if this format works for you? Would you like to see a little more about each review? Is this helpful at all? How do I find reviews on the web site? The latest 12 reviews always show on the front page. They are in order of publication, and this is a great place to browse. Just click one of the books, and you’ll be taken to the detailed review page. 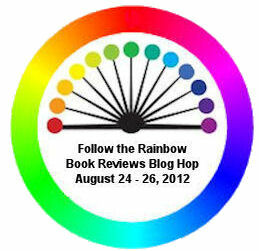 Then there is the “reviews overview page” here: http://www.rainbowbookreviews.com/book-reviews/?next=1. This page shows all the reviews so far published on the site, from newest to oldest. There is a button on the top right, just under the search box, which enables you to reverse the order, and you can browse them from oldest to newest, if you prefer. But what if you’re looking for a specific title, author, publisher or even category? That is where the search box at the top right comes in. Make sure to click “reviews” in the drop down box, then enter what you’re looking for, and press search. You will get a list of all the mentions of your search term under reviews. How often are new reviews added? Usually, you can find at least one review each day. Sometimes more, and occasioanlly there is a small break of a day or two – but that is very rare! Questions? Ask them here or e-mail us at info @ rainbowbookreviews.com (without the spaces).